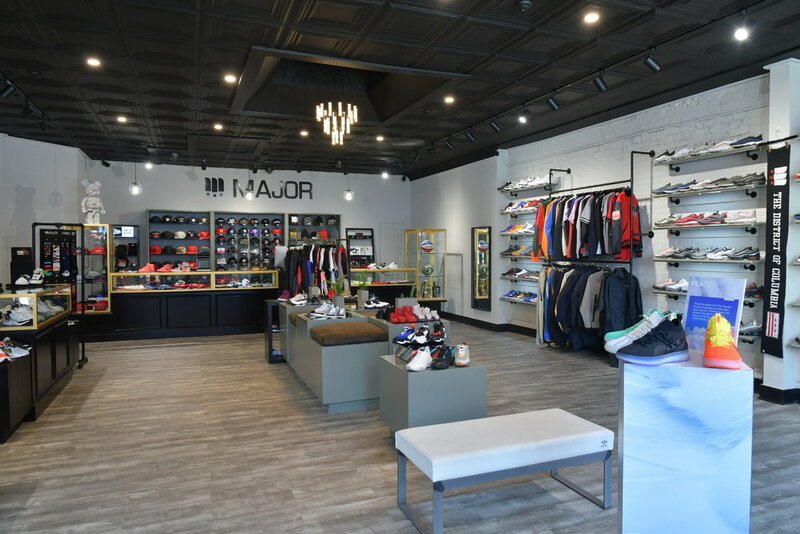 Founded in 2006, MAJOR was the first sneaker lifestyle and streetwear boutique in the Washington D.C. area. Located in the heart of the historic Georgetown neighborhood, blocks away from the campus of Georgetown University, MAJOR has been recognized around the globe, as one of world's top sneaker boutiques (including Complex Magazine's Top 50 Sneaker Boutiques of All Time). MAJOR's exclusive in-house apparel and headwear program, on its own or in collaboration with brands like New Era Cap Company, has also garnered critical acclaim from media and fans alike. In December 2018, MAJOR embarked on a new journey with the opening of the new Flagship location at 1415 Wisconsin Avenue NW, across the street from the original location. 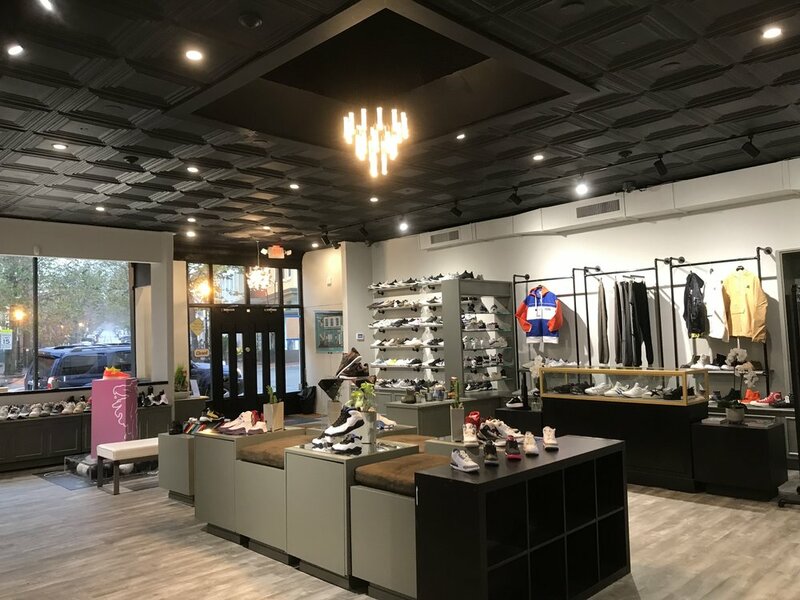 The new buildout was designed by the in-house team at MAJOR, and features an expansive shoe wall and apparel display with a look and feel of a luxurious walk-in closet. The original tin ceiling circa 1920’s was restored with modern lighting to provide the perfect background to all the outstanding product that MAJOR stocks. The new location is a historic Georgetown retail building, which was recently used as a location for Wonder Woman 1984, prior to MAJOR’s opening, and its distinctive exterior window provides a birds eye view into MAJOR from Wisconsin Avenue NW.